On the afternoon of 11th September, 1893, after a formal and a bit dull session of the inauguration of the World Parliament of Religious, held in Chicago, a young Indian monk stood up to address the august gathering. On hearing his first five words, the entire Columbus Hall burst into an instantaneous and spontaneous applause Hall burst into an instantaneous and spontaneous applause and the speaker, the young Swami Vivekananda, suddenly short into fame. He was thus the first of the trinity of Sri Ramakrishna Paramahansa, his spiritual consort Saradamani Devi and Sri Ramakrishna’s great apostle, the young Swami himself, to shoot into fame. After his meteoric burst from a penniless, unknown, itinerant, uninvited, undeputed monk into a great exponent of religious harmony and tolerance, Vivekananda spent more than three years in the West. He spoke but twice about his master and practically never about Saradamani Devi. Except for the charmed circle of a few disciples and devotees of Sri Ramakrishna, very few people in the city of Kolkata had come to perceive the greatness of Sarada Devi for many years. And this was not quite unnatural. Sarada Devi was a simple village girl and her accent, naturally, was unrefined. She had no formal education. She had not read any Shastras. She had not been to any guru for spiritual guidance. 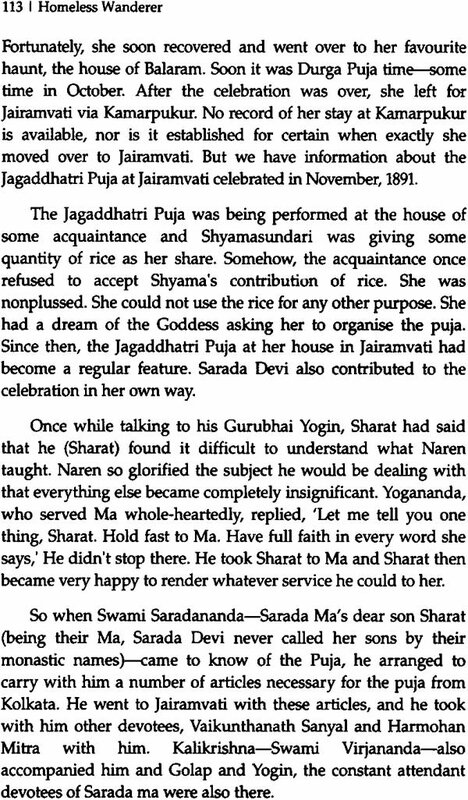 And yet the germ of the powerful spiritual vitality within her sprouted at the gentle touch of Sri Ramakrishna and grew up when he performed the Shodasi Puja quite at some time after her first arrival at Dakshineshvar. But it had remained veiled for a pretty long time. Sarada Ma never preached to any group, she never stood up on any platform to deliver thunderous speeches, propagating her own sect. Thoughout her life she lived under a veil, the rays of the moon of her spirituality broke through the veil and touched the hearts of people near and far. It was this spiritual vitality of hers, recognized by Swami Vivekananda quite early, that had made him go to her and seek her blessings when he left Kolkata in 1890 to wander in search for the mission of his life. And it was this same spiritual greatness of hers that had made him seek her permission before going to America in May 1893. And, who knows, her blessings might have played no small part in getting him admitted to the Parliament of Religions, even though he carried no credentials. The only delegate without any accreditation, representing no sect and sent by no religious organization, given entry to the Parliament at the very last moment and gone totally unprepared to the assembly of august religious dignitaries, receiving thunderous ovation at the very first words of his address to the great assembly, making a great impact with his appeal for religious harmony on the receptive audience in the Hall there and then, and, through the newspaper reports, on the general public later on, the Swami was suddenly transformed from an unknown, wandering, penniless monk to the status of a world teacher. Some divine dispensation certainly must have been working behind this. And behind this dispensation must have been the Holy Mother’s earnest prayers for the success of her son. Ma had earnestly prayed for a roof over the heads of her sons, and simple fare in their plates so that her sons did not have to go begging for morsels of bread. Her intense prayer might have played no small a part in inspiring donors for the land and buildings of the Math at Belur. A flower born to blush unseen, Ma’s fragrance had continued to spread everywhere, the impact she had made on Nivedita and Devmata and Christine was almost unbelievable. Unbelievable was her impact on the numerous devotees at Madras and Bangalore. These are all cases of spiritual communion, above the functioning of speech, beyond the grasp of normal intellect. Her life was a spiritual Ganga always edifying, energizing, ennobling. Innumerable were the persons who achieved salvation by having a mental dip in the unseen waters. The remarkable thing about her life was that it flowed like a quiet little stream, unseen by the vast majority of people. And yet its influence in quenching spiritual thirst was very powerful. Another important aspect of her life which has attracted very little notice was her breaking of caste barriers, shackles of age old social customs, removal of pseudo-religious taboos. And all this she did without ever addressing a meeting from a platform, without ever issuing a statement, without ever leading a march of men and women. In almost all steps of hers in this direction, she was quite ahead of her times. Her non-observance of the age old custom for a widow, her “breaking of corner confinement”, her quiet cutting of caste barriers, her contacts with people of lower castes and other religions and races, her emphasis on female education, her showering the grace of initiation on people of all ranks, from the learned and dedicated disciples of Sri Ramakrishna to the illiterate coolie on the platform of Vishnupur railway station, all such actions of hers were quite ahead of her times and each one of them was path breaking. And one thing to be remembered is that she never did any thing indiscriminately. She had put her foot down firmly when three or four brahmacharis had been to seek her blessings after they had thoughtlessly left the Belur Math for Kashi without permission from Swami Shivananda. When some monk from the Math who had been to Haradwar and Hrishikesh for penance wrote to Ma that inspite of all his efforts he was not being blessed by a vision of God, she immediately dictated a reply to him stating in crystal clear words that God had not been standing there waiting for him (the monk) to arrive there. Her ability to judge persons and things and events was of a very high order. She had clearly told her brothers who wanted her to be their sister in the next birth that enough was enough. 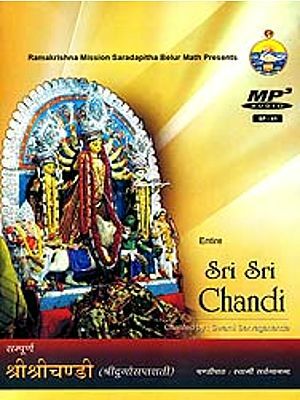 A part and parcel of the life of Sri Ramakrishna, the purpose of her life can be understood from a close study of her life after Sri Ramakrishna’s departure from the world. An attempt has been made in the following pages to bring out the significance of her life. 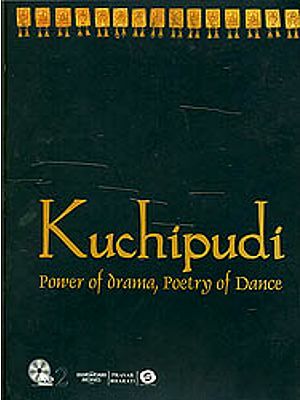 Besides references in the various biographies of Sri Ramakrishna, help is freely taken of Swami Gambhirananda’s famous biography, Achintyakumar Sen’s poetic delineation, Ma’s ‘Gospel’, Swami Saradesananda’s ‘The Mother as I Saw Her’, ‘Teaching of Sri Sarada Devi’, ‘The Holy Mother’, ‘Man Ke Sannidhyamen’, a Hindi translation of Swami Ishanananda’s book is Bengali, ‘Reminiscences’ by Brahmachari Varada, ‘The Motherhood of God’ by Swami Brahmananda and various articles in the ‘Vedanta Kesari’ and ‘Ramakrishna Jyot’ (Gujarati), the two journals brought out by different Centres of the Ramakrishna Order. Undoubtedly, the shortcomings are my own. I feel very happy to place this book before the public and hope that it will serve its purpose. Sarada Devi, popularly known as the Holy Mother, was the spiritual consort of Sri Ramakrishna Paramahansa. This book shows how a simple village girl, who had no formal education, had not read any religious scriptures and had not been to any teacher (Guru) for spiritual guidance, achieved the divine status of ‘Mother’. Delineating the purpose and significance of her life, it describes in detail her marriage with Sri Ramakrishna, her worshipping as a Goddess by her own husband, her breaking of caste barriers, and shackles of age-old social customs, her removal of pseudo-religious taboos, and her emphasis on female education. Her contribution towards the establishment and development of the Ramakrishna Math and Mission has also been discussed elaborately. Dr. Dushyanta Pandya has a long association of over six decades with the Ramakrishna Math and Mission. Presently, he is the president of the Ramakrishna-Vivekananda Centre, Jamnagar. Earlier, he was the convener of the centre. He is also closely associated with Ramakrishna Jyot, a Guarati monthly published by the Ramakrishna Ashram, Rajkot. Dr. Pandya has written a good number of books, including one on Montessori method of teaching. Also, he has translated several books of Swami Ranganathananda, Swami Jitatmananda and Swami Chetananda into Gujarati, as well as fifty Gujarati poems of Umashankar Joshi into English. He is a recipient of Best Teacher’s Award and Gujarat Sahitya Academy Award.